Hey everyone, just wanted to say thank you to everyone and special thanks to Cory for helping me bring my maxima so far. Without this site and the helpful members i dnt think my car would look like this. I will post more pics of different angles. Nice. The wheels really set off the color of the car,very nice. Id like to see more pics,bigger please. And by the way, and mods on the G35 in the background? 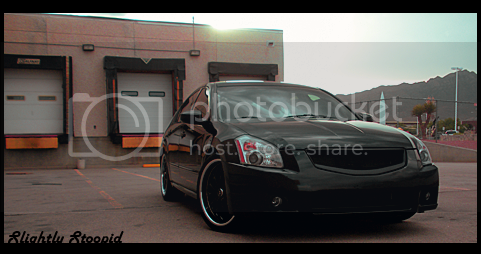 Yeah thats my brothers 06 g35. Its got a roof spoiler, custom mesh grille, intake, upgraded brembo brake set up, and dual mass flywheel. Looks great! More pics please.